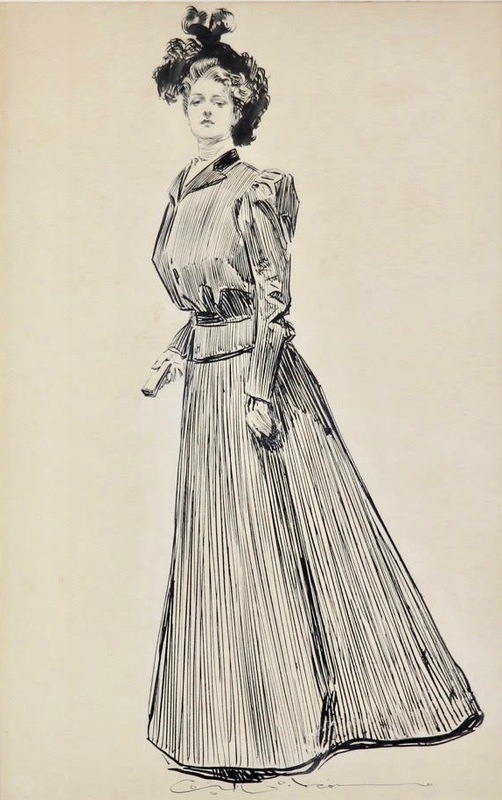 Charles Dana Gibson could draw a pretty face. 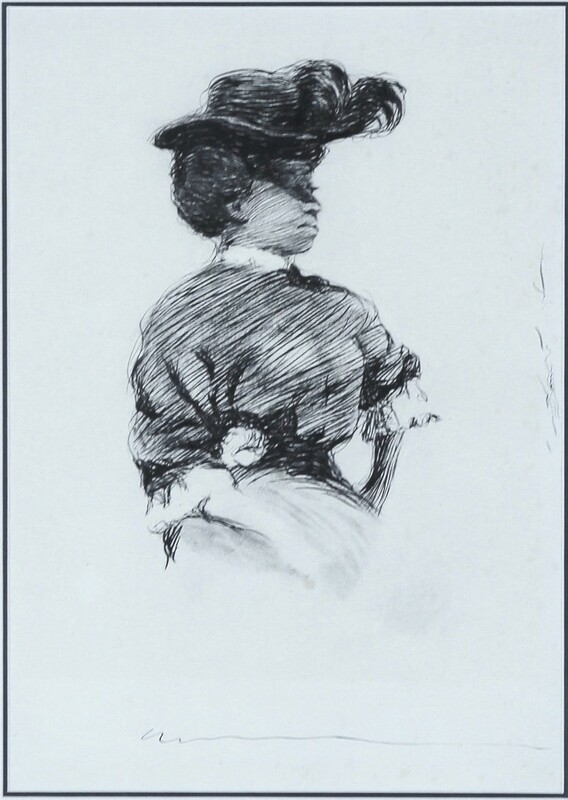 His drawings of women were so beautiful, so gracious, that it was the highest compliment to a young woman to say that she looked like a Gibson Girl. She was depicted on the stage; her likenesses were printed on pillow covers, painted on chinaware, and molded on silver spoons. 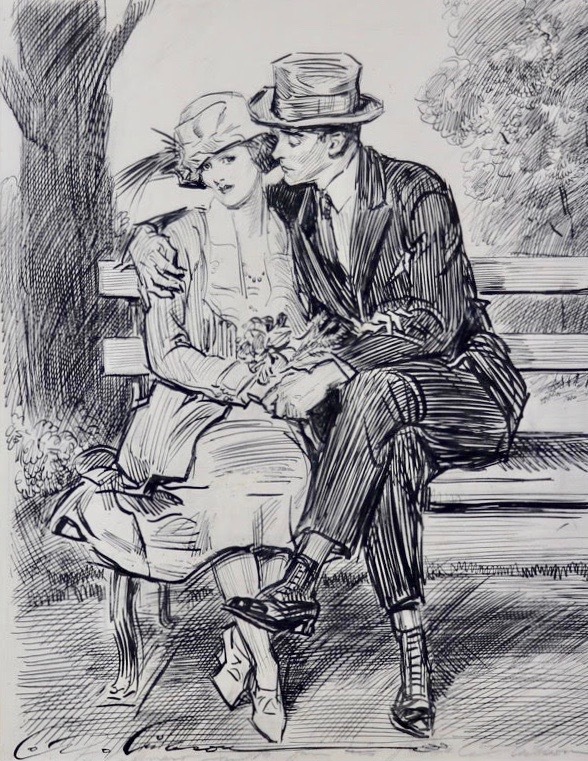 The Gibson Girl, although aloof and refined, was everyone’s ideal sweetheart. 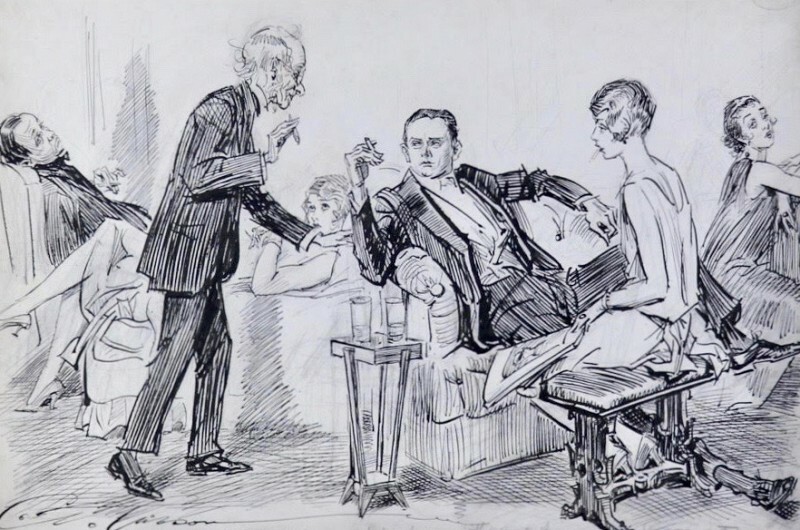 The popularity of Gibson’s art was based on much more than a pretty girl. First, he was a master-draftsman with pen and ink. He used a pen point almost as a brush, “painting” in his values with sure capability. Not that his sureness of technique was an overnight acquisition. John Ames Mitchell, art editor of the old Life magazine, who bought Gibson’s first drawing, related that he “detected beneath the outer badness of these drawings peculiarities rarely discovered in the efforts of a beginner…his faults were good, able-bodied faults that held their heads up and looked you in the eye. No dodging of the difficult points, no tricks, no uncertainty, no slurring of outlines…there was always courage and honesty in whatever he undertook.” Gibson’s later virtuosity was developed through many years of solid application and gradual refinement. Most important, he was a commentator on the social life and mores of his day, with a satiric but gentle point of view. His people, like “Mr. Pipp,” were those with whom everyone, rich or poor, could identify. This happy combination of abilities made Gibson the highest paid illustrator of his time. 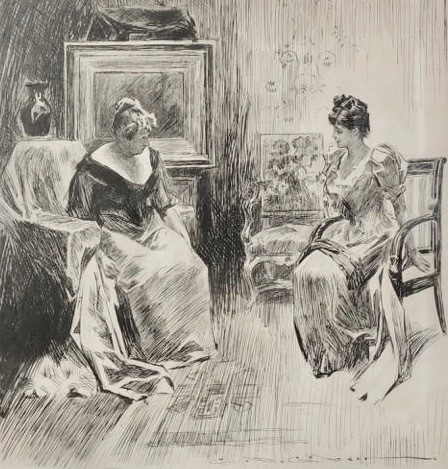 In 1904 Gibson accepted a contract from Collier’s Weekly for $100,000 for one hundred illustrations over a period of four years, a contract, incidentally, that repaid Collier’s many times over in increased circulation. During World War I, Gibson, as president of the Society of Illustrators, formed and became the head of the Division of Pictorial Publicity under the Federal Committee of Public Information. He recruited top illustrators of the day to design posters, billboards, and other publicity for the war effort. 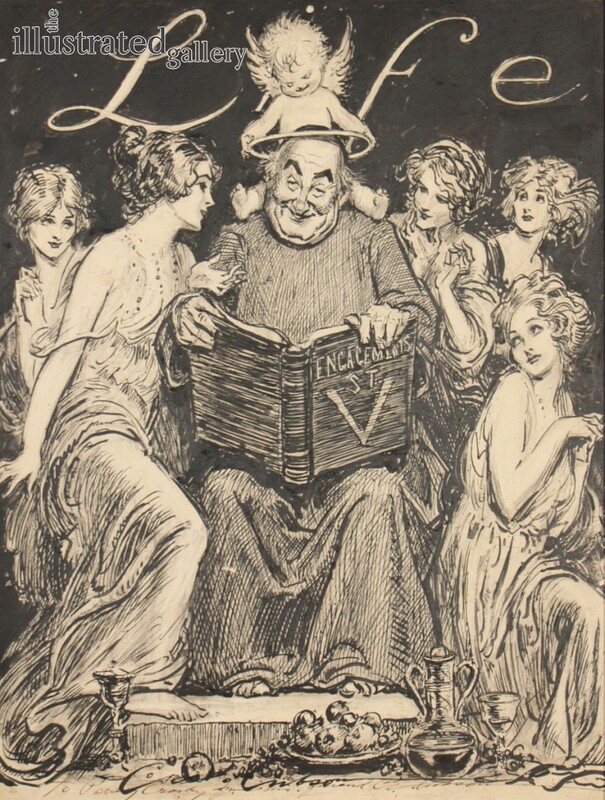 After the war, Gibson became owner and editor of the old Life, a step which greatly curtailed his own drawing output. By the early ‘thirties, he had retired to paint exclusively. In his long career, however, Gibson had compiled a warm and eloquent pictorial record of his era.